We've been working on this one for a while, sorting out a very clean install requiring minimal modification to the car. I'm extremely happy with the results and it's nealy impossible to wipe the grin from your face after driving this car. That's approximately 330hp and 320 ft-lb! We did not need to drill even a single hole in the car's chassis/frame. 100% bolt-in. The rear clam's trunk area is modified a bit to clear the rear cylinder head but most of the trunk is maintained. Suspension geometry and function are unaffected. Note: previous owner of this car modified the fiberglass behind the doors - this is NOT necessary for this engine swap. The previous owner had also removed some parts such as the stock oil coolers and the air conditioning but all other street equipment and full interior remains. Weight of an unmodified Elise with this swap would still be under 2100 lbs. That is LESS than a supercharged car with the E153 trans conversion. Not bad. Trunk is only 90% finished. We're working on a custom engine lid right now. The intake manifold sticks up a little too high for the stock Elise lid. Exige lid should fit no problem. Don't worry about high CG, that whole manifold is plastic and only weighs a couple of pounds. Lower and lighter than the factory intercoolers. Driving impressions: Incredible. Just look at that torque curve. If you're cruising at 2000 rpm and stomp the pedal you GO. No more waiting. No more downshifting. I love the smoothness of the NA power delivery and the "right now" throttle response. It's completely unlike any other Elise/Exige I've driven. Some turbo cars are faster but none have this sort of drivability. Weight is identical to stock so handling and balance are completely unchanged. 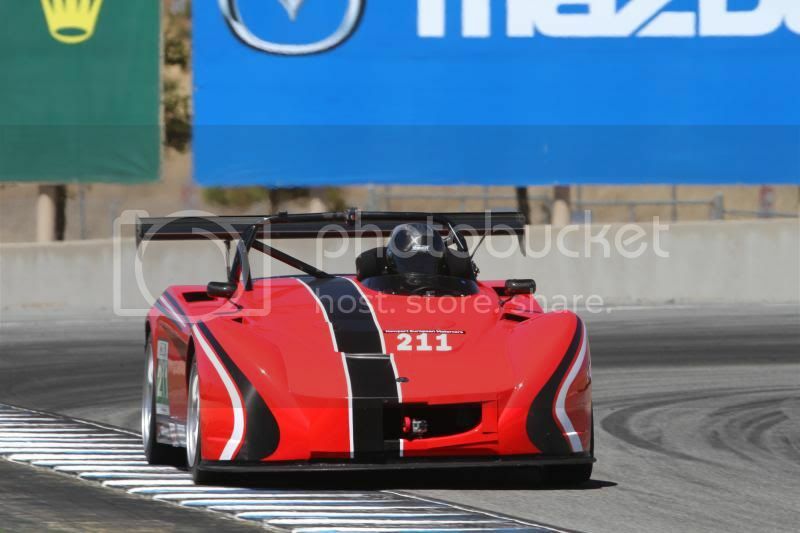 I cannot wait to get this car to the track. Oh, and on the street, it'll get significantly better fuel economy than even the NA 1.8L. Will report numbers back soon. This is the first Elise/Exige V6 we've done but there will be many more to come. We're evaluating costs so we can hang a price tag on the swap. I think it'll be a very popular option. The V6 has proven very reliable, performs incredibly, and brings with it the bulletproof E153 transmission. Win-win-win. Future plans: we've already considered supercharging and turbocharging for an absurdly fast track car. We're also months in to developing an all-out NA V6 with more displacement and modified heads and valvetrain. No numbers yet but we're expecting to see 400hp+. 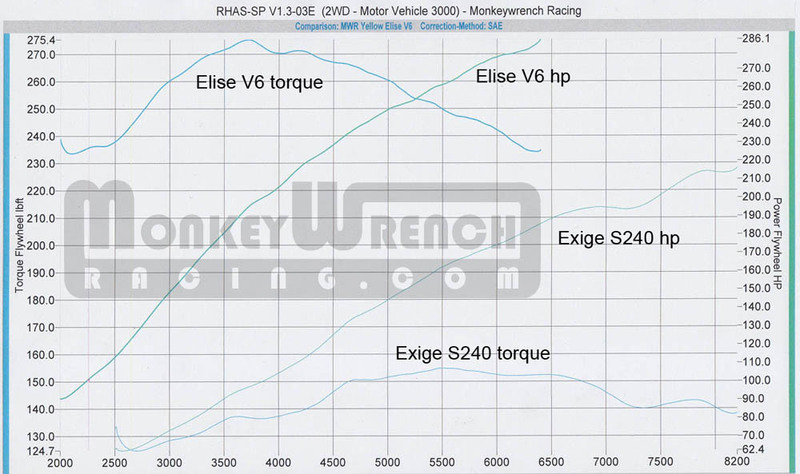 For now we're going to fine tune what we've got and rev it a bit higher in hopes of hitting 350hp on the stock V6 NA. All icing on the cake since it's already awfully fast. Special thanks to Marc @ FMS. Excellent source of information and all around great human being. Last edited by Monkeywrench; 06-07-2010 at 11:01 AM. Is this expected to be a kit? and if so, will it be.. "competitive" with S111's Secant Ecotec price(Alot cheaper would be awesome)? Last edited by Demonized; 06-04-2010 at 03:10 PM. Congrats!! Looking very clean. Having done a similar swap in a stripped out MR2 a few times I can say the throttle response in an elise must be AMAZING! Im assuming you went with a light weight flywheel too? If you dont mind asking, how are you handling the engine management? Also can you post the corner weights? Im curious about the total balance. Given that your basically adding another cyl head worth of weight on the passenger side of the chassis. Perhaps it would be more close to perfect with the driver alone in the car than with the I4 engine? The Lotus Elise is not a very practical car, but it could probably be considered the most practical motorcycle ever made! Last edited by QuadCamSix; 06-04-2010 at 03:13 PM. I'll post corner weights on Monday, I'm already out for the weekend. Yes, it should be a bit more balanced. Some of the weight removed came from a lighter battery which definitely helps in that regard. Engine management is a factory ECU right now. There are not many aftermarket ECUs that will handle 4 VVT's. I'm working on a couple of very promising systems though so we'll have some tuning capability by next week. Should have something capable of forced induction soon after. Fidanza flywheel, ACT HDSS clutch. Insane throttle response. 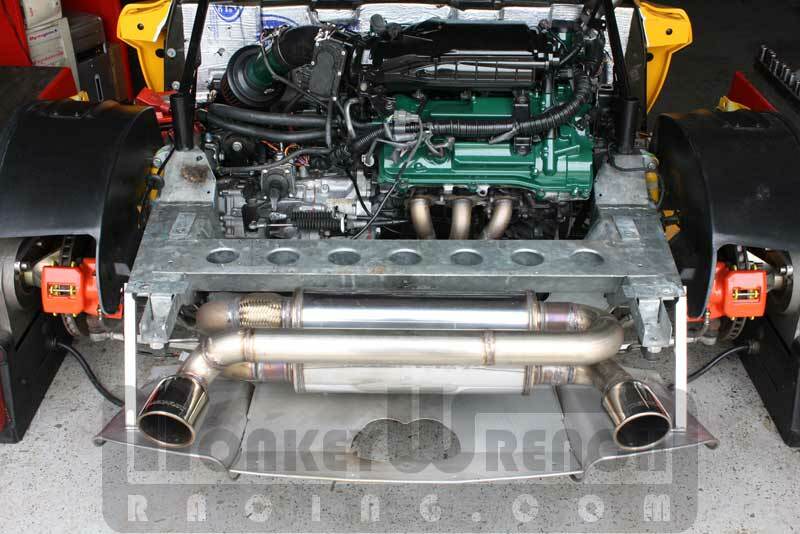 All this talk about a V6 Exige, and it's already been done by MWR! Awesome work, very inspiring. Get a video of the car in motion please! Good job Monkeywrench. I can't wait to read more about this and eventually how much it will cost us even though I won't be able to afford it. Wow! I'm officially done purchasing upgrades for my 4 cyl. That is freaking unreal, very sweet and mind boggling how its fits perfect. I bought this crate Ecotec motor from European GM with 300hp and 350 ft-lbs @ 2500 rpm! I'd be interested to see where we both take our different avenues to and at what final cost and weight. Last edited by Minnis; 06-05-2010 at 04:54 AM. Oh I'd so much want the 400hp version! 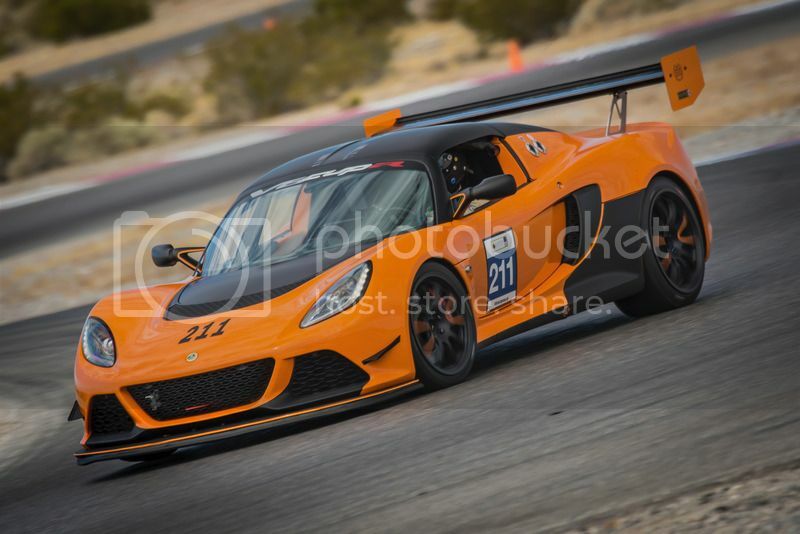 Makes the Evora Cup car look like a skateboard, jeez. Think about using top edge of the trunk compartment to speed this up. You could make this removable to allow engine access, put some one sided foam adhesive strip to keep the water out of the trunk. Thanks for the post, look forward to more. You call it an "Evora 3.5 V6." Is this any different than the Toyota/Lexus 3.5? I'm not knocking it, just curious. 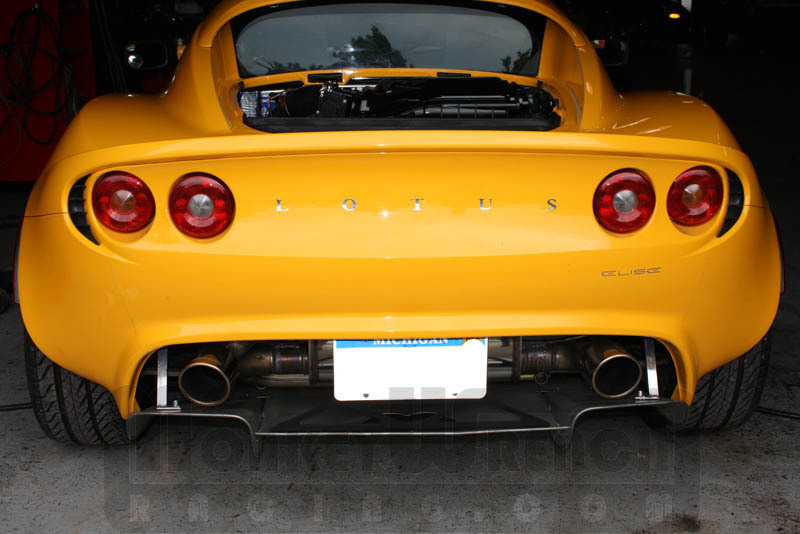 I didn't think Lotus had done anything with the 3.5 besides tuning it. Did they? I will laugh my azz off if Lotus unveils the same thing a few months after you do! People ought to look at the 3.5 this way - it can hustle a ES350 to 60 in 6.2, with a slushbox. Imagine what it can do for a car that drops 40% of the weight! Like the 2ZZ, the 2GR (v6) was in Toyota models before it appeared in a Lotus. Our project's engine is set up much simpler than a standard Toyota install and is bolted to a manual transmission as in the Evora. The Toyota/Lexus 2GR has never had a manual transmission available. I'm sure we'll be in the 30's with the Elise V6. I love the 2ZZ but fuel efficiency is not one of its strong points.